On 28th April 1946, a band of 38 enthusiasts assembled at the Lounge Cafe, Hog's Back, Guildford, Surrey, with the object of forming a Motor Cycle Club for owners of machines manufactured prior to December 1930. 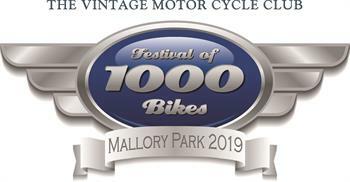 The majority of those who attended that meeting nearly 70 years ago had ridden there on Vintage machines and, despite very bad weather conditions, came from as far afield as Cheshire, Nottinghamshire, Shropshire and Leicestershire. The Press also attended and excellent photographs were obtained of the event. The Police and the AA also assisted in regulating the traffic and the parking of machines. After lunch, 'Titch' Allen, who had been the promoter of this meeting, took the chair and outlined his ideas. His main objective was to promote the use and preservation of 'Vintage' machines and from his vision the Vintage Motor Cycle Club was formed. Initially, membership was restricted to owners of motorcycles manufactured prior to 31st December 1930, solos or sidecars, but not three-wheelers and the idea that someone without a motorcycle should be able to join providing that they acquired a suitable motorcycle within six months was firmly rejected. It was hoped that the Club's activities would include Rallies, Hill Climbs, Trials, a Workshop and Museum, a Library, a Sales and Wants system for spares and motorcycles, Insurance for difficult cases, a free of charge Bulletin and an Annual Dinner. As the years have passed by, many of the activities envisaged on that day have materialised and are now accepted as the 'norm' by VMCC members. Without the vision of those Founder Members of the Club, motorcycling history would not have been preserved. Membership today stands at over 14,000 - but this has been achieved without losing any of the camaraderie or helpfulness usually associated with smaller clubs. For more information on many of the unique benefits that can be gained from becoming a member of the VMCC visit the dedicated Membership Benefits page.